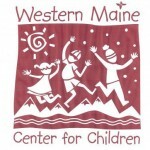 On October 29th, the children were able to trick-or-treat this year in the base area of the Sugarloaf resort, as they had done in the past, prior to the relocation of the child care to the Carrabassett Valley Community Building. Many thanks to Dave Koenig for transporting the children and to CVA for the use of their shuttle bus for the morning. It was quite a sight to see the bus filled with carseats! Among the revelers were a little hamburger, a monkey, princesses, a little skunk, a giant jellyfish, a dragon or two, a pink pig, superman and a bumblebee. It’s safe to say that a good time was had by all. Check back for pictures!